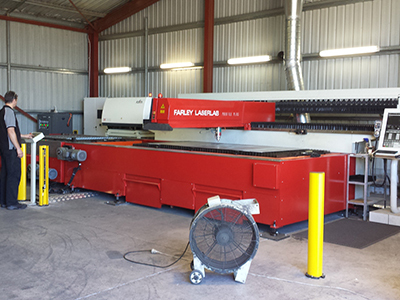 machine designed to deliver precision, high definition plasma cutting, oxy-fuel cutting and drilling. fabricated beam construction, which eliminates all bolted joints. profiling speeds of up to 20m/min yet retaining the rigidity to accept up to 6 torches for multi-torch plate cutting of 150mm thick material, and also a drilling head with eight BT 30 tools. > BT30 tool holder, accommodating 8 tools.